OK. A short biography – September 2017. Born in Newcastle Upon Tyne, England in 1968 – that makes me 40 something? Youngest of the family with three sisters. My grandfather on my Mother’s side was from Foorglass, Connemara. This was enough of a connection for my Mother to strongly encourage all of us kids to participate in full Irish indoctrination. All three sisters took part in Irish dancing classes which meant I used to hear the same Irish Dance records over and over and over again when I was young. Thankfully there was a couple of records which weren’t too bad musically. After actually dancing in competitions myself, I decided that I actually preferred the music. I also realised that it wasn’t as embarrassing explaining that I played Irish music rather than doing Irish Dancing. 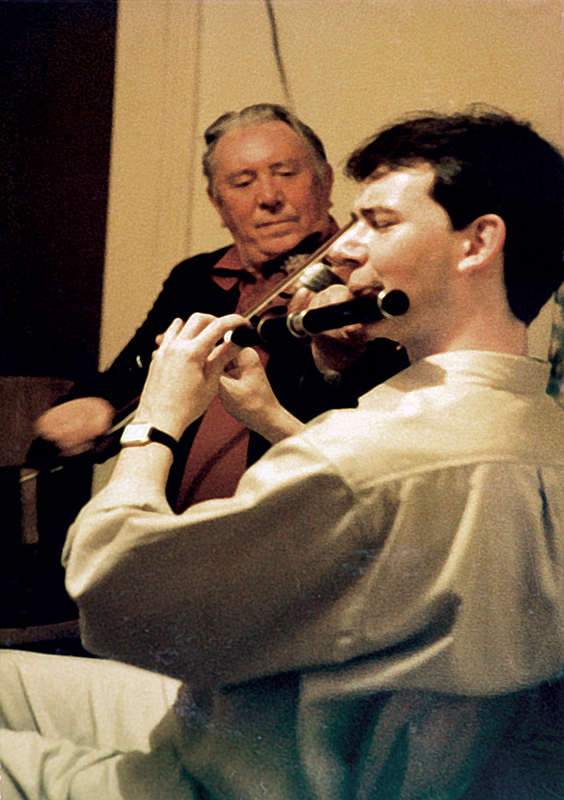 I started playing tin whistle at about age eight/nine and also attempted the fiddle at this early age. Fiddle seemed way too hard so I stuck to the whistle. I was taught and mentored by Patrick Knight, one of the kindest and generous of people around the music scene in Newcastle. I moved onto the wooden flute at age 12/13 and progressed steadily thereafter. 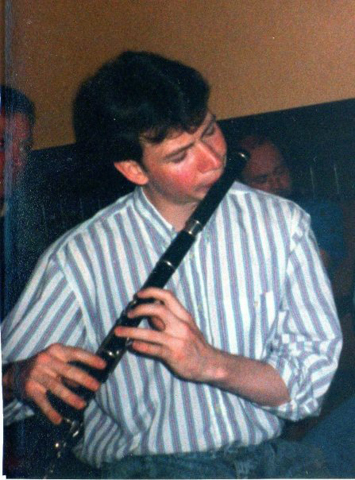 I won several fleadh titles at various levels and eventually won the All-Ireland Senior Flute through sheer persistence. I continued playing until aged 23 and then stopped playing almost completely for about four years. I moved to Ireland and started playing again at 26/27. I’ve been based in Dublin, Ireland since then and have moved around a good bit through work but I have tried to keep playing throughout. My main influences on my flute playing are probably Matt Molloy, Seamus Tansey, Tommy Peoples, Frankie Gavin, Sean McGuire, Kathleen Collins and Paddy Keenan. My Sister, Sheena, also learned music at the same time. She played (and still does play) a very sensitive piano accordion which taught me how to understand musical phrasing on different instruments a lot better. Probably like every other flute player, I tried analysing Matt Molloy’s breathing and ornamentation from a very early age and have to say that I was completely in awe of his control and sensitivity. At the same time, the sheer uncontrollable exuberance of Seamus Tansey’s playing allowed me to look beyond the notes as they were written and from this I learned how to better interpret and feel the music. Not very long into my competitive playing days, I realised that many other players were copying individual styles almost note for note to the extent that they were playing Molloy’s variation in “The Boy’s of the Lough” year in, year out. Whilst copying such great styles helps develop technique, I did not feel that I wanted to do this (at least not in public). I had also attempted to copy the great flute players whilst practicing and very soon realised that I was never going to be as good as them at what they do, they had pretty much been there and done that. 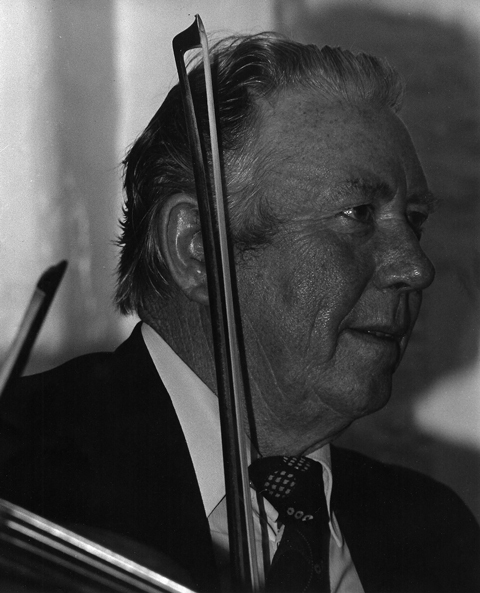 At about the same time I was introduced to a Tommy Peoples recording “The Iron Man” by my flute teacher Pat Knight. At this stage, the flute lessons were not really about learning to play the flute but more about learning to learn (if that makes sense). We would often discuss different approaches and styles of music and Patrick would be directing me to different recordings and telling me to go get the recording (or he would loan me a copy) and he would tell me to figure it out after giving me some direction as to what to listen out for and also correcting any bad habits I had developed. At this time I would be practicing at least three/fours hours per day, every day. This wasn’t so much a chore as I was so caught up with so much to learn. 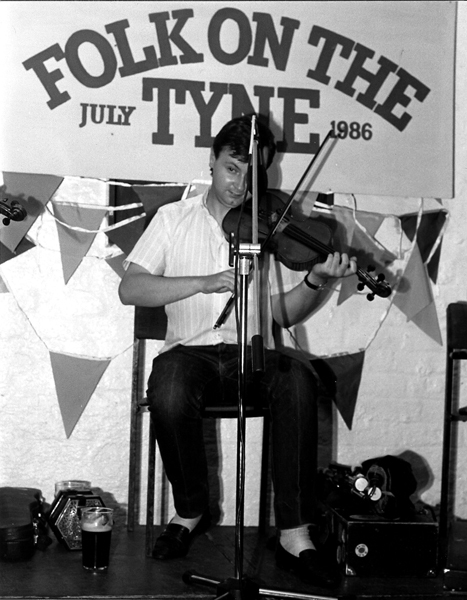 Apart from Patrick Knight, the other mainstays and big influences on my playing in Newcastle at that time would have been John Doonan – a fantastic piccolo player from Jarrow, Chris Jordan – an inspirational fiddle player from Bohola, Co Mayo but living in Newcastle most of his adult life, Michael Moriarty – a gem of a flute player from Kerry and Mary Larkin – a superb accordion player originally from County sligo but living in Newcastle. 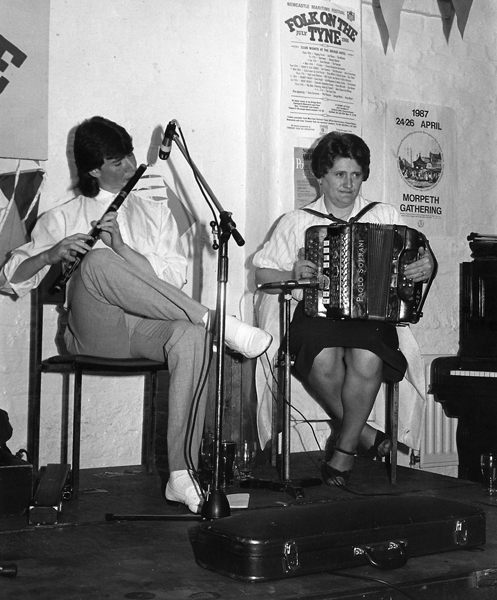 I had many a fine session with Chris, Mick and Mary at various stages of my teenage years and in particular, Mary Larkin would have been instrumental in introducing me to some of the recordings and tunes of the Sligo area – in particular Josie McDermott, Bobby Gardiner, Marcus and PJ Hernon and Seamus Tansey. Another big influence would be Tony Corcoran who was heavily involved in Comhaltas throughout my years in Newcastle. 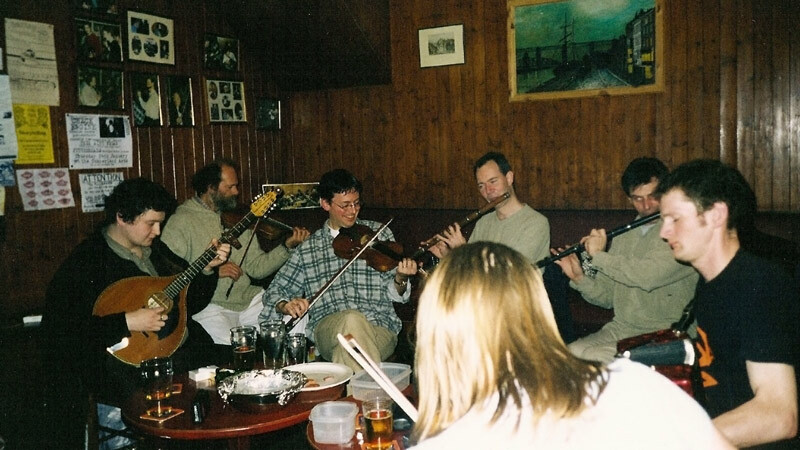 Tony would often get me to play in Ceili bands he ran and I would fill in when John Doonan or Mick Moriarty weren’t able to play. Both Tony Corcoran and John Doonan played for the local Feis and got me involved in playing for the local feis – something I am happy to say is well behind me. The thought of twelve hours of playing for dancers does not appeal to me now but in hindsight it gave me great discipline, stamina and an excellent sense of timing. I would also acknowlege the support and encouragement of Kathryn Tickell who was probably one of the first musicians to commercially record some of my compositions. Kathryn pretty much stood out on her own in Newcastle as an example of how to go about becoming a successful professional musician. I always admired her professionalism, musicianship and manner in which she presented herself and also her deep-rooted enthusiasm and promotion of the Northumbrian folk music. In addition to Kathryn, Karen Tweed helped enormously in encouraging my passion for composing music. I met Karen through the Fleadh Ceol network via one of the adjudicators, Siobhan O’Donnell. For a number of years in my late teens, Karen played a big part in introducing some of my compositions to a wider audience than I could ever have done. Musicians in London and beyond probably learned a number of my tunes via Karen or at least from sessions involving Karen. For that I am very grateful and I could never underestimate the impact that Karen had on my musical development. In my late teens another musician appeared on the scene in Newcastle which provided me with a drinking and playing partner. This was Paul Ruane of Leeds. Paul was a year older than me but with an enthusiasm and talent for playing second to none. Between myself and Paul we had a whale of time for a couple of years. Sadly Paul passed away in 2016 after a brief battle with cancer and the loss reverberated around Tyneside and far beyond. We also met up with Norman Holmes, a sleeping giant of a flute player from Sedgefield, Co Durham, a couple of younger musicians were just starting to make their mark on the music scene also – namely Claire Mann – a fabulously talented multi-instrumentalist and Paddy Kerr – a gifted bodhran and bouzouki player. There was great music and craic to be had at this time in Newcastle. Naturally enough, the normal order has been since restored as most of us either settled down or moved away and now a new generation has taken over where we left off. Also a great source of encouragement at that time and still a very distinctive and stylish player today would be Des Hurley of Leeds. Des introduced me to many of the musicians throughout the UK who were really firing at that time. It was also a relief to find that other people existed on the planet who were as obsessive about the music as I was. Amongst these musicians were Joe, Enda and Ronan Molloy, Kevin Crawford, Ivan Miletitch, Brendan Boyle, Marco Pollier, Mark Evans and Mick and Pauline Conneelly to name but a few. These were truly incredible times and the sessions in Birmingham at that time were second to none in my eyes. They were mostly orchestrated by Ivan Miletitch who was an accompanist without compare at the time. It was a great shame when these days were coming to an end however, given the frenetic pace at which things happened, it was inevitable that it would come to an end. Happy days all the same. The flutes I owned whilst learning and growing up were all rudall or prattens copies. It wasn’t until I was 17 when I got a job, bank loan and then a superb flute – an early Chris Wilkes fully keyed D flute. I thought my life was complete – not only was it fully keyed, the keys were all gold-plated – I guess I thought it would play better! From this moment on, my flute playing and learning started again. I realised that there was not only a bottom D but also a couple of notes below that as well. My style of playing changed after playing the Wilkes D. I parted company with this flute and sold it to Claire Mann (some of you might know her music – if you don’t, look out for it). At the same time I swapped my F Prattens for a Wilde D from Norman Holmes. I played this flute until 2000 when I saw my last flute in McNeil’s music shop in Dublin – a boxwood Rudall & Rose like I’d never seen or played before. I have since started playing a Holmes-McNaughton concert D flute which is a direct copy of my boxwood Rudall (except now in Pink Ivory http://www.holmesmcnaughton.com). I have found that the Holmes-McNaughton is more consistent and less tempramental. I did try a number of other makers however the deciding factors for me were the keywork and tonal quality. The Holmes-McNaughton uses solid silver keys, silver-sleeved blocks which gives consistent performance when playing chromatic pieces which rely on the keys. In relative terms these flutes have not been around for very long however it never ceases to amaze me as to the quality of the tone and also the consistency in performance which I was not getting from the Rudall, which I now get from the Holmes-McNaughton. The flute also provides a responsiveness which I have only found in either a genuine good Rudall, a Wilkes and now the Holmes-McNaughton. 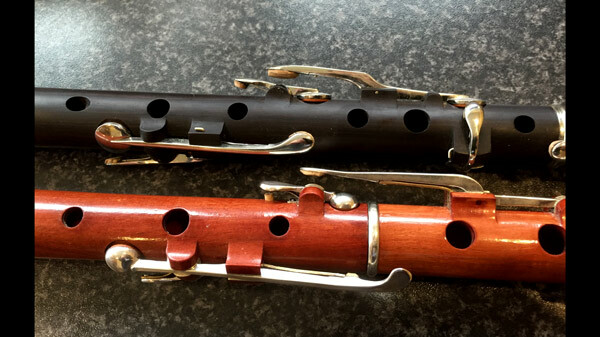 When all of these factors are brought together, Norman Holmes and Bill McNaughton are making seriously good flutes which deserve the high praise they are already receiving amongst flute players. I also play a Corrigan F Prattens perfected. This is a new instrument and whilst I’ve only been playing it for a short while, it is an absolute pleasure to play. I do get asked on numerous occasions as to which flutes I prefer and whether or not one maker is better than another. I have to say that I have played flutes made by most of the modern makers as well as most of the older originals. Whilst I am loath to compare, the only opinion I would share is that every flute player is different. Some models from some makers suit certain flute playing styles better than others. The flutes I have always gravitated towards which suit my playing have been either Rudall’s, Prattens, Wilkes and now Holmes-McNaughton’s. I started looking at Wilkes flutes from an early age when I grew frustrated with the inconsistency, scarcity and price of older instruments. From that point onwards I decided to go with the newer models from Chris Wilkes and Holmes-McNaughton. Both makers are turning out absolutely fantastic instruments and I have to compliment them on their consistency, perseverance, skill and workmanship. Again, this is my personal opinion based upon my experience and I’m sure others will be equally happy with numerous other makers’ instruments which I would also respect. One last point of note. The flute does not make the flute player and never has. If that was the case, all any of us would need is Matt Molloy’s flute and we’d be away. The flute, no matter how good (or bad) requires a skilled player to get the best out of the instrument. I suffered for too long worried whether this flute was better than that flute and it was extremely frustrating. The really important thing is to decide on a maker and where possible stick with it. Of course, give a number of different makers a try, however I would not get too hung up on choosing a flute maker. 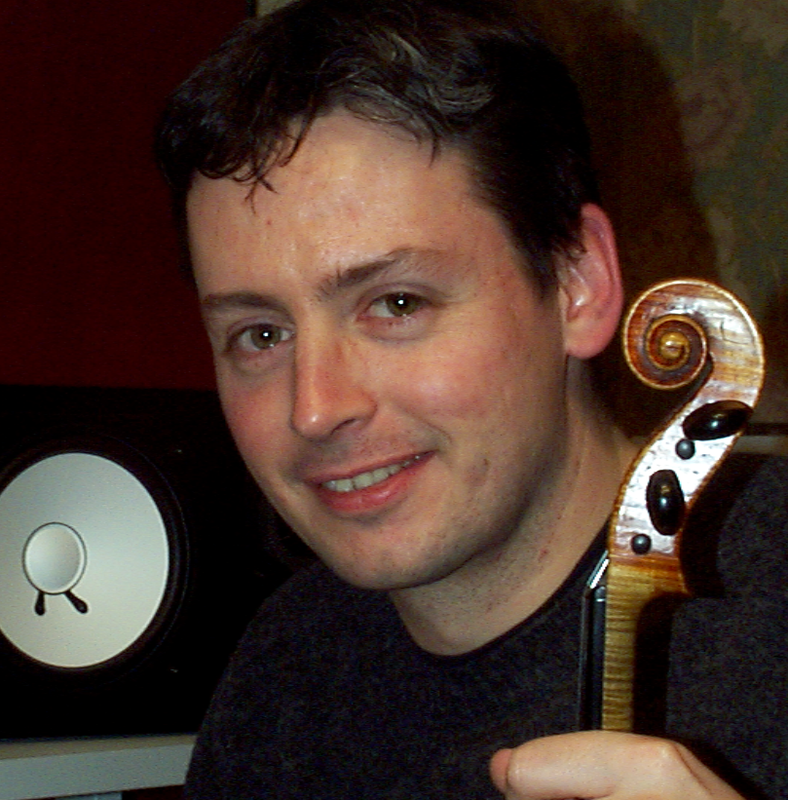 As long as the instrument is in tune with itself, the rest of the work is down to the player to achieve the potential of the instrument. This can often take six months to a couple of years depending upon how much you play. One important thing I have found is that flutes tend not to be too tempramental these days, however the players still are! Myself at the front of the queue on this one!